Top Notch Material: LeapFrog Epic is Great for Preschoolers, Add it to Your Holiday Shopping List! 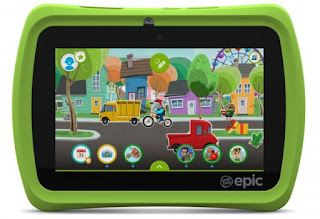 LeapFrog Epic is Great for Preschoolers, Add it to Your Holiday Shopping List! Who wouldn't be in love with being a LeapFrog Mom Squad Member? I mean, you receive these fabulous products for your kids that they LOVE and get to tell other fabulous moms all about it! Such is the case with the LeapFrog Epic we just received, along with a goodie package of other super fun toys! The Epic seems to be the best thing since sliced bread over here in our home, and both boys (and even daddy) are loving it! The things is, even though this tablet is meant for kids ages 3-9 it turns out that both my two year old and my 8 year old find things to enjoy about it, so it really is fun for everyone despite the age labeling. "It's a one-of-a-kind Android™-based tablet experience that grows with your one-of-a-kind kid featuring a customizable and playable homescreen and a safe, out-of-the-box web that expands when they're ready to explore more. Plus, they can learn as they grow from LeapFrog's auto-leveling learning games to Android™ kid-favorites for their own world of fun." That is all true! It really grows with you child, and we have already had the opportunity to download a couple of the Android games that add even more fun to this tablet! What I love, as a mommy, is the built in stylus and the build in case so it is made to last and be resistant to drops and in the case of my careless toddler, stepping on it! By going through the screens on the Epic, kids can animate all kinds of neat things......you can make animals in the forest come to life, and you can make cars move and balloons float. My toddler got a huge kick out of that! It also gives you facts about the animals and other things as you move through the screens. It also features real time weather, which is very educational for children and gives good talking points for the parents and them to educate on weather. 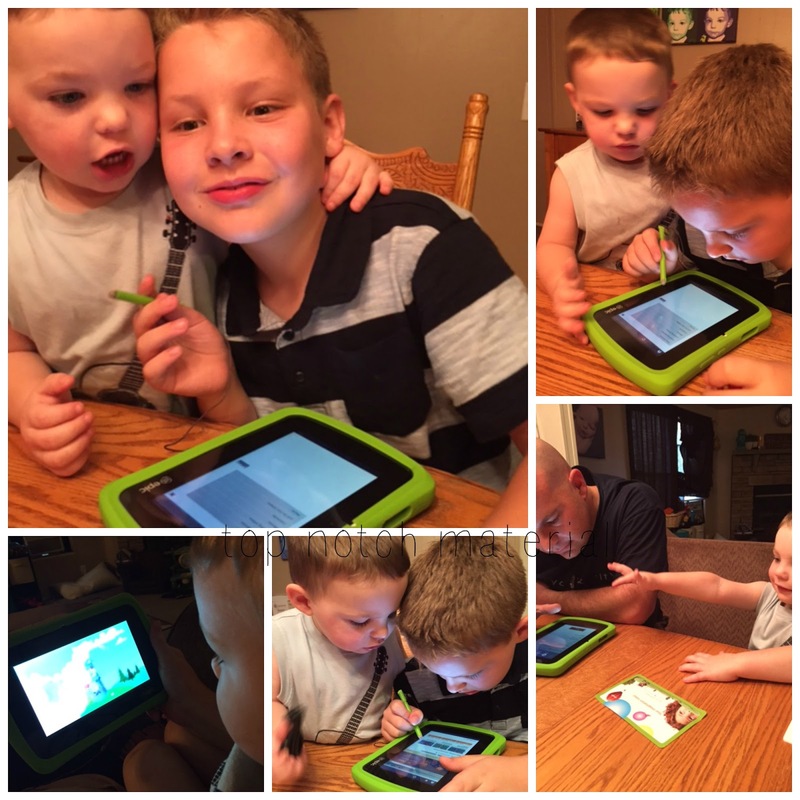 There are tons of fun, simple games for children and I love that their are parent settings on it so you can allow your child to explore the tablet without worrying about them purchasing anything you do not want them to. It takes video and pictures, and the quality of both are pretty good for a kids device. My boys fancy themselves videographers, so they really love this option. The Epic is readily available for your holiday shopping at many fine retailers like Target, Best Buy, Amazon and Toys R Us and is priced under $150 so it makes the perfect tablet for your little one this Christmas!